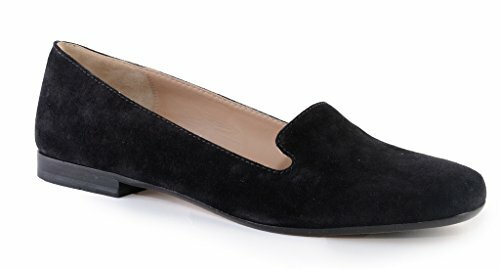 The Max Mara Women's Suede Loafer Flats are high quality, stylish flats that are crafted in Italy. With an interior made from genuine, ultra soft Italian leather, these luxurious and gorgeous flats are as comfortable to wear as they are beautiful to look at. The Max Mara Women's Suede Loafer Flats feature delectable suede leather that makes the shoe stand out excellently. Suede is a powerful fabric, able to transform any outfit into one that will turn heads. Those who appreciate suede often have an incredible sense of style, and that will be made clear with every outfit you choose to wear them with. Order your very own pair of these fashionable Max Mara Women's Suede Loafers by adding them to your cart now!